The TZ-REDD quarterly newsletter is a part of the TFCG/MJUMITA project funded by the Ministry of Foreign Affairs, Norway. 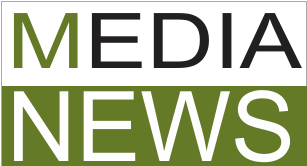 The newsletters aim to keep practitioners, donors, universities and CSOs up-to-date about REDD projects in Tanzania, upcoming events, and REDD developments around the world. Click here to download the PDF version of the newsletter. 1. New REDD Pilot Projects! Following on the National REDD Framework, which was published in 2009, in December 2010, the first draft of the National REDD+ Strategy was published. The 119-page document provides a thorough background and overview on REDD+ in Tanzania by providing a policy and legal framework, an overview of climate change in Tanzania, a review of governance over forest resources, and an outline of the REDD development process thus far. The document includes a vision, mission and goal and it outlines key objectives of the strategy, including the establishment of a national reference scenario (i.e. a baseline for measuring carbon), fair and transparent payment mechanisms in place, enhanced research and human capacity for REDD in Tanzania and guidance for addressing the underlying causes of drivers of deforestation. In the final chapter, the document sets out to identify the strategic implementation options, using ten main strategic interventions or “key result areas” to guide the REDD+ implementation process. It is in this section where strategic objectives, activities, indicators and outputs are identified. At the start of 2011, the Secretariat to the National REDD Task Force invited public comment and feedback on the draft National REDD strategy. In fact, in the Strategy document it states, “this draft Strategy has been produced for Stakeholders’ Consultation and engagement for its consolidation” (page 6, executive summary). Therefore, it is assumed that the feedback and comments submitted to the Task Force, as well as any stakeholder consultations, will be considered in the development of any final version of the Strategy. The following is an overview of three sets of comments submitted to the Secretariat of the National REDD Task Force by key stakeholders: UN-REDD, Tanzania REDD Pilot Projects (CSOs) and the Donor Partner Group on the Environment (DPG-E) & NORAD. Each set of comments begins with overall feedback on the Strategy. All three stakeholder groups praise the work of the Task Force for producing a relatively comprehensive Strategy that will serve as an important step in the REDD implementation process. While the three sets of general, or ‘overall,’ comments vary in focus and specificity, there are some recommendations overlapped between the three stakeholder groups. The REDD pilot projects suggest that the document is too long, containing information that isn’t directly relevant to strategic implementation, which instead “buries” some important key issues, such as community carbon rights and management of REDD funds. DPG-E points to the same problem; however, they point out that generality “is arguably very appropriate at this stage of REDD+ development when many of the key challenges…have just begun to be identified” (DPG-E, 1). However, both agree that the lengthy background might not be necessary to serve as the entire document, and DPG-E suggest it come as an Annex. All three stakeholder groups agree that the timeframes provided needs to be more clear and more realistic. UN-REDD suggests that a clearer timeframe will help involve more stakeholders; DPG-E suggests that separating short-term and long-term indicators might help, and that some tasks and strategic activities will take longer than a 2012 framework; and the REDD pilot groups comment that “some of the time frames are unrealistic for the tasks at hand, and some of the information is outdated” (REDD Pilots, pg. 1). As mentioned, UN-REDD strongly encourages broadening stakeholder involvement by expanding the National REDD Task Force to include members from additional government bodies, such as the Ministry of Agriculture and Food Security and the Ministry of Energy and Resources, as well representatives from civil society, including NGOs and members of forest dependent communities. The REDD Pilot Projects share a similar opinion, suggesting that “the time has come for civil society to participate fully in the process of designing and developing REDD mechanisms from now on” (REDD Pilots, pg. 2). DPG-E’s point out that the Strategy acknowledges the need to broaden consultations beyond the current Task Force; however, it does not feel that the Strategy adequately addresses how REDD strategic options will “be mainstreamed within sector programmes and expenditure frameworks,” and how it will be well linked to other initiatives like MKUKUTA. UN-REDD shares this same concern. Finally, both DPG-E and the REDD pilot projects note that social and environmental safeguards are missing as a key result area, and that this could be the focus of a new KRA. It is not clear how the National Carbon Accounting System (NCAST) is linked with the NAFORMA system (UN-REDD), and it should be made more clear how the National Carbon Monitoring Centre (NCMC) will play a role in MRV (DPG-E). There is no mention of MRV for social and environmental safeguards and outcomes, and this should be incorporated into this section (REDD pilot projects). All financial options should to be explored (UN-REDD). The document appears to favor a carbon Trust Fund as the preferred mechanism, but there isn’t sufficient justification for selecting such a mechanism (DPG-E). If a Trust Fund is the selected mechanism, it needs to be stated “clearly and unambiguously in the rationale’ (REDD pilot projects). REDD Pilot Projects met in Zanzibar for three days in April to take the lid off that box called “Gender,” which it seems has been hidden somewhere in most REDD project designs. The Gender and REDD Training Workshop, hosted by CARE/HIMA, brought together 30 trainees from seven pilot projects and representatives of HIMA’s project partners. Led by facilitators Catherine Hill (international) and Emma Liwenga (Tanzania, IRA), the group covered topics ranging from “what is mainstreaming gender” to “influencing national policy,” via everything in between! Covering such a wide scope in only three days is limiting, and therefore we could only scratch the surface of some of these subjects; however, it was helpful in setting the agenda for participants of what they might do next in their own projects. Evidently, many of these risks are neither gender-specific nor confined to REDD, though this does not diminish the need to address them robustly in REDD projects. An area noted by participants that we did not have time to explore is how to deal with the inevitable conflicts that will arise under REDD. When we looked at establishing good practice on gender reporting and monitoring indicators, we realised from our collective discussion that the field of Gender and REDD is a relatively new one. We are all learning together, and while we can draw from experience in related areas, there is little specific guidance to work from. An illustration of this is that the CCB standards, which most REDD pilots are working towards, are actually very weak on gender. Each project came up with a few next steps, including carrying out an internal “gender health check” of all project components, developing a project-based gender strategy, developing guidelines on REDD benefit sharing, and training and capacity building for our staff and other. It was also noted that as the National REDD Task Force establishes its Technical Working Groups, there are opportunities to incorporate gender in several different ways. Finally, many participants expressed a desire to keep up the momentum that had been built up in this workshop. There is a long way to go and this initial workshop was just the beginning. To help us go forward, the idea of a REDD & Gender Learning Network was suggested, and a small group from CARE and TFCG volunteered to explore how to set this up. Stay tuned for more information! At the start of this year, two new REDD projects funded by the Norwegian Ministry of Foreign Affairs (MFA) were formally launched. The following is an in-depth overview of the two new projects. Establishment of baseline carbon plots and their measurements in different vegetation/cover types building on work that has been initiated by the collaborating institutions in the Eastern Arc Mountains and expanding this network of field plots to cover additional habitat types and geographical regions of Tanzania to enable more accurate estimates of carbon stocks in different cover types, including coastal forests, miombo woodlands, acacia savanna, grasslands and wetlands. WWF will choose degraded, degrading and intact forests to be able to estimate carbon lost through forest degradation process. Approximately 120 permanent plots will be established in 12 different vegetation types in different geographic regions. Completing hemispherical photographic surveys of vegetation structure within each of the 120 plots. These data comprise both information used for the modeling component on the project, such as satellite derived moisture distribution (TRMM), and direct remotely sensed vegetation products such as SPOT, KOMPSAT, Landsat, Quickbird. Commissioning LiDar overflights as an addition to the Norwegian government funded LiDar project. These additional overflights will cover at least 18 of the plots, including those with hemispherical photographs and other ground based measurements of forest structure. These overflights will allow some detailed comparative statistics to be developed in lowland and montane regions, testing out the utility of the LiDar approach for potential further expansion as a sampling strategy at national scale. Assessing soil carbon within each of the 120 plots, at various points within each plot. A professional quality soil carbon analyzer is included in the budget and will be used to analyze the samples collected from the field. Mapping future carbon scenarios, which will be a major additional value to the existing MRV projects in Tanzania. The current land use base map and available carbon data will be manipulated in GIS to develop future land use change scenarios to 2025/2050 - based on potential changes in land cover across the entire country according to a business as usual and a more hopeful environmental future of Tanzanian development. With the established link between the plots and the present climatic and environmental regime part of the scenario mapping WWF will investigate the impacts of climate change by substituting present day climate for future climate available from regional climate modeling expertise on East Africa available through the climate production Center at the Kenyan Meteorological Office (ICPAC) and the Hadley Center UK as there is an increasing regional climate model focus in the lead up to the next IPCC report 2015. Providing training and building capacity at Tanzanian national level. Experience from Valuing the Arc, and during the development of this project, has shown that there is a need for further capacity building in modeling aspects of forest carbon, land use change, climate change and scenario mapping work. 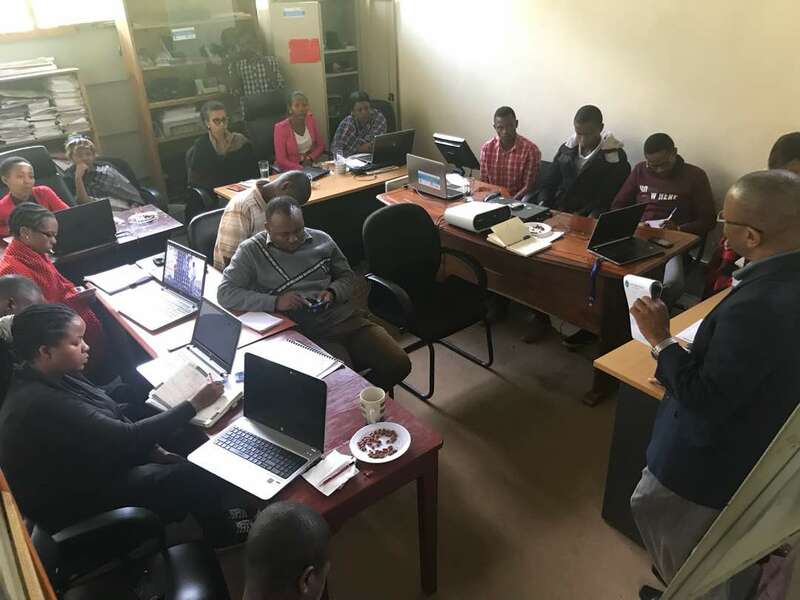 Training in modeling approaches will be provided by experts from the project team in York University to collaborators in Sokoine University of Agriculture. These analyses are expected to provide rigorous measurements of carbon accounting that will be an essential input into the REDD process in Tanzania, both in the inception and the subsequent evolution as the extensive network of plots can be re-measured and monitored as a barometer of the impact of changing carbon capital in Tanzania. The WWF REDD project will manage the data derived from carbon plots within a database held at WWF-TCO, Sokoine and York Universities. This database will be shared with NAFORMA and UN REDD prorgrammes within FBD to inform the development of a MRV system and forest carbon baseline for the country. Most extensive and diverse cover type, less studied with respect to carbon, higher potential for degradation through utilization. Possible sites in Iringa/Mbeya to include old growth and regenerating miombo stands. Particularly responsive to carbon sequestration under climate change scenarios. An important cover type though not very widespread, no data on this type, high potential for degradation through utilization. Possible sites include the Somali-Masai regional center of endemism in Arusha, Dodoma and Mwanga. Particularly responsive to carbon sequestration under climate change scenarios. The WWF REDD project is coordinated by WWF Tanzania country Office, under Professor Shadrack Mwakalila, under the Valuing the Arc Program, which has been mapping, modeling and valuing ecosystem services across the eastern part of the country. 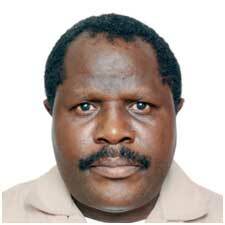 Prof. Mwakalila has been coordinating the Valuing the Arc Programme in WWF Tanzania since 2007 to date. Going by the saying that “it is better late than never,” WCST had waited patiently to sign a contract between the Norwegian Ministry of Foreign Affairs (MFA) and WCST, which meant approval of the last out of nine Piloting REDD projects in Tanzania. The WCST project is known as Piloting REDD in Pugu Kazimzumbwi Forest Reserves or “Hifadhi Mapafu ya Dar Es Salaam” (HIMADA). The Project will operate in Pugu and Kazimzumbwi National Forest Reserves, which have eight adjacent villages serving as the basic operational areas. In addition, the project will work in Kisanga Village Forest Reserves in Kisarawe and support greening of planned areas in Ilala District. Both Pugu and Kazimzumbwi Forest Reserves have suffered considerably from deforestation and forest degradation. Although these challenges can slow down processes and progress, they do present excellent lessons learned on the complexities of land tenure. The overseers of the project include the National REDD Task Force, The Embassy of Norway and the Institute of Resource Assessment. Thus the HIMADA project, just like other REDD Piloting projects, enters into implementation through a multi-faceted and multi-stakeholder participatory initiative to improve forest management and reduce Carbon emissions through deforestation and forest degradation. This project will be implemented in two phases. The first phase being an inception, preparatory and mobilization phase, while the second will focus more on the full implementation. The delivery in phase one will set the basis for phase two. By ensuring that issues related to: governance, legal and institution; awareness and knowledge management; stakeholders analysis; surveying of forest borders; strengthening of patrols and establishment of project infrastructure are addressed. 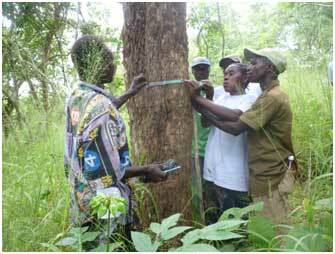 The establishment of a baseline for measuring of carbon stocks in the forest (locating permanent sample plots) and carrying out activities to quantify drivers of deforestation is one of the main project activities (the main drivers currently identified as being abstraction of timber, fabrication of charcoal, agriculture and uncontrolled fires). Once the studies are done, it will be possible to address the drivers of deforestation and estimating carbon losses from different causes. Results will also help inform a plan to understand and combat leakage, as well as identify areas to focus on the conservation of the forests. The project will operate through strategic partnerships. The design of the project has given room for WCST to outsource competencies by entering into sub-contracts with partner organizations that will deliver some of the outputs. WCST will enter into sub-contracts with four Institutions including: EMNET, Sokoine University of Agriculture - Faculty of Forestry ad Nature Conservation, LEAT and UDBS. Each one of the partners will provide technical support to their respective areas of expertise along with coordinating linkages with others. The project will apply a Participatory Forest Management (PFM) approach together with Joint Forest Management (JFM) and Community Based Forest Management (CBFM) mechanisms for forest management regimes for applying REDD in the forest areas. Support to tree planting and greening of areas bordering forests will jointly be done with Local Government Authorities in Kisarawe and Ilala districts. This project has yet another unique feature in that is intended to address elements of ownership and sustainability through the creation of a fund to be known as The Pugu Kazimzumbwi Forest Reserve Fund (PKFRF). This will be created for the purpose of financing JFM activities, as well as provision of a sustainable working capital for community entrepreneurship groups like beekeeping, mushroom and hand crafts groups in the village. The project will facilitate the formation of savings and credit societies like SACCOS and VICOBA to that effect. The main goal of the project is two-fold: climate change mitigation and poverty reduction. Being a REDD readiness initiative, the purpose of the project is to prepare the targeted local communities and local government in Kondoa to enter carbon trading successfully. The intermediate results of the project include carbon assessment, capacity building on REDD, land and forest management, diversification of community livelihood options and improvement policy and practice through learning and networking. ARKFor is one of a few if not the only pilot REDD project in the country that is involved with JFM (about 46% of target forests are government forest reserves). Therefore, it has a very important role of demonstrating how REDD can work under JFM. The challenge is whether the share of cash benefit (especially the REDD money) will satisfy communities members. AWF anticipates that the government will accept the request of allocating all or over 80% of JFM REDD money to communities in return of their conservation and forest management efforts. Despite extensive explanation and awareness, a considerable number of local communities are confused about the distinction between AWF and TANAPA, hence fearing that the current JFM move will ultimately hand the forest to TANAPA, thus losing control and access to the forest. They further fear that TANAPA will promote the introduction of lions, leopards and other dangerous animals that will jeopardize their lives. Inter-village boundary disputes have been slowing the speed of land use planning process in some villages. However, the government has been addressing this challenge effectively. AWF is still struggling to raise additional funding (about $500,000) to accommodate the increment of project scope as recommended by the feasibility study, which suggested increasing the project area from 18,000 ha to 56,000 ha and project villages from 15 to 21. The HIMA project in Zanzibar is drawing towards the end of its one-year inception phase. Key achievements in the past year have been the mapping of forty community forest management areas on the islands of Unguja and Pemba; implementation of new guidelines on how to develop community forest management agreements; the completion of the carbon feasibility study that establishes the orders of magnitude of REDD in the project; and the expansion of tree nurseries to allow for increased planting of woodlots, as well as piloting a scheme to reduce charcoal consumption by encouraging the adoption of LPG (bottled gas). A great deal of effort has been expended in the first year on data collection for both carbon measurement as well as social impact. Some of this will continue into year two, particularly the detailed measurement of biomass in sample plots across the islands. Perhaps the biggest lesson learned so far is that data collection for carbon monitoring for REDD is extremely labour-intensive compared to the monitoring and evaluation demands of normal projects. The task for the year ahead is to identify and build the capacity of an institution that will act as an aggregator of the carbon credits from the different communities, as well as to ensure that mechanisms are in place at community level to ensure that REDD has a positive social impact and that benefits are equitably shared between men and women as well as with poorer households. The project ‘Making REDD work for communities and Forest Conservation in Tanzania’ aims to reduce greenhouse gas emissions from deforestation and forest degradation in Tanzania in ways that provide direct and equitable incentives to communities to conserve and manage their forests sustainably. The project has assisted 26 villages (13 in Lindi and 13 in Kilosa) to develop participatory strategies to reduce deforestation and forest degradation and improve livelihoods. These strategies form the basis for the activities that are now being undertaken by the project to support communities to reduce deforestation in a pro-poor way. 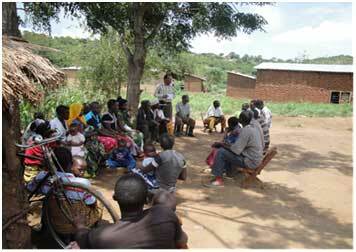 4 villages have demarcated village forest reserves and prepared management plans and by-laws covering 4628 ha in Kilosa and 1873 ha in Lindi. The project has also made progress towards the development of a project design document for the Voluntary Carbon Standard. Over the last six months their remote sensing team has been carefully analysing Landsat 5, SPOT and PALSAR images and carrying out ground-truthing in order to develop land-cover classifications for the two sites and their reference regions. The team have faced and overcome various technical hurdles including dealing with cloud cover and shadow in the images; seasonal changes in vegetation; and distinguishing between forest and fallow areas. Classification of both landscapes has now been completed. In March, an important report on REDD was released quietly on the internet. The report is from the Munden Project, experts in market trading systems, and looks at the prospects for a carbon market to actually achieve the objectives of REDD – to benefit people by mitigating climate change and saving forests. Perhaps the reason it has not (yet) received much publicity is that, despite excellent efforts by the authors to make it concise and not too technical, it still seems dense if you are not familiar with market-trader jargon—“derivatives,” “over the counter trading” and “counterparty clearing”. Perhaps another reason is that it makes gloomy reading for those who hope that a carbon market for REDD is around the corner. REDD carbon is a virtual commodity, rather than a physical one. While trees and the carbon in them exist, what you are actually trading in REDD is an act of faith – faith that the carbon would not have been captured otherwise, and faith that it will continue to be in future. This in itself is not a problem as most commodity trading is based on trading promises – promises to deliver and promises to pay. The system only works if it is regulated to ensure that those promises are kept most of the time. The difference with REDD is that it does not have the basic ingredients to make a regulatory system work, and this will severely restrict the free flow of private sector resources towards forests. In short, forest carbon is too risky to make reliable trade. Forest carbon is defined in an imprecise and variable way from place to place. This makes it a risky commodity with non-uniform quality and unpredictable supply and demand. In such circumstances commodity traders will either steer clear of it completely, or drive the price down to cover their risk. Too many resources are required to measure, validate and verify carbon in the majority of cases. If REDD matures towards a typical commodity market, where perhaps 5% of the final price makes it to the producer, very few forests will be able to sustain the transaction costs of marketing carbon and benefit local communities. The overall conclusion is that if REDD depends largely on a commodity-style market, it will fail to generate the income for projects that is needed to provide the incentives and the benefits for forest communities. Once disillusion sets in, the risk to a return to previous levels of deforestation and degradation is very real. The report concludes with some tentative recommendations, which should come as little surprise to those working on the pilot REDD projects in Tanzania – what is interesting is that they reach these conclusions by coming at the problem from a completely different direction. For any REDD financing to work, a project producing carbon must have the right to exist and operate on the land. Therefore, land tenure is a critical prerequisite – not just a secondary consideration. Simplify the definition of forest carbon, with more straightforward measurement, and move away from the need for exhaustive, external quantification. This will make global supply more predictable, although the lower resolution of data quality would rule out trading REDD credits as offsets, sufficing only as indicators for performance based payments from alternative sources. c.	working at scale, through aggregation, using a consortium of funders to support a single portfolio of projects. All this makes sobering reading for those of us who are putting a lot of effort into detailed carbon measurements in the belief that this is what is needed to make REDD work. Although at the moment we have no alternative, in the long term it may end up being at best unnecessary, or at worst, even pointless. Nevertheless it is also reassuring that many of us are on the right track by working on land tenure and on aggregation as essential elements of any initiative to make REDD benefit the poor. The official launch of the African Carbon Exchange (ACX) took place on March 24th in Nairobi. Although the launch was official, the ACX is still undergoing tests and actual trading is not yet possible. However, the launch itself was significant, as it’s the first carbon exchange platform on the continent. ACX will at first be partially supported by Kenyan government utilities and agencies, such as KenGen (Kenya Electricity Generation Company), KPLC (Kenyan Power and Lighting Company) and the Ministry of Environment and Natural Resources. However, the long-term goal is for the ACX to run as a for-profit international entity. The ACX aims to provide opportunities to African carbon projects that have struggled to find a place in the international market setting, due to project size or other such hurdles, by “unraveling the complexities of carbon market participation and addressing the prevailing barriers to low carbon development in Africa” (ACX website: http://africacarbonexchange.com/about-us/ ). This web page has more than 100 sources (blogs, publications, articles, etc.) that cover COP 16. It’s a useful resource in learning more about what’s happening and what’s expected to happen at the international level. The Foundation for International Environmental Law and Development (FIELD) published a three-part guide for REDD+ negotiators. The guide is aimed specifically at negotiators coming from developing countries, and it provides a very thorough overview of REDD+ international negotiations. The guide is broken into three parts: 1) REDD+ negotiations, an overview; 2) general negotiating tips for new REDD+ negotiators; 3) UNFCCC documents referred to in REDD+ negotiations. The guide is a very useful tool for negotiators, but also for anyone interested and following international REDD+ negotiation processes. IN 2010 15 new countries joined the UN-REDD program, bringing the total UN-REDD partner countries up to 29. The 2010 Year in Review provides an update about all 29 countries, including Tanzania. The Review also provided an overview of UN-REDD’s engagement on measuring and monitoring for REDD+ (MRV&M), specifically pointing out the support Tanzania received in advice and coordination of using existing initiatives in the National REDD Strategy. IUCN NL and the World Land Trust developed and carried out a training program that explored the use of carbon as a funding mechanism for conservation. The goal was to enable their African partner NGOs to benefit from increased carbon funding opportunities. Specifically, the program focused on REDD+. Based on these workshops and trainings, they have produced a useful guide that is available here.